I like late night walks. 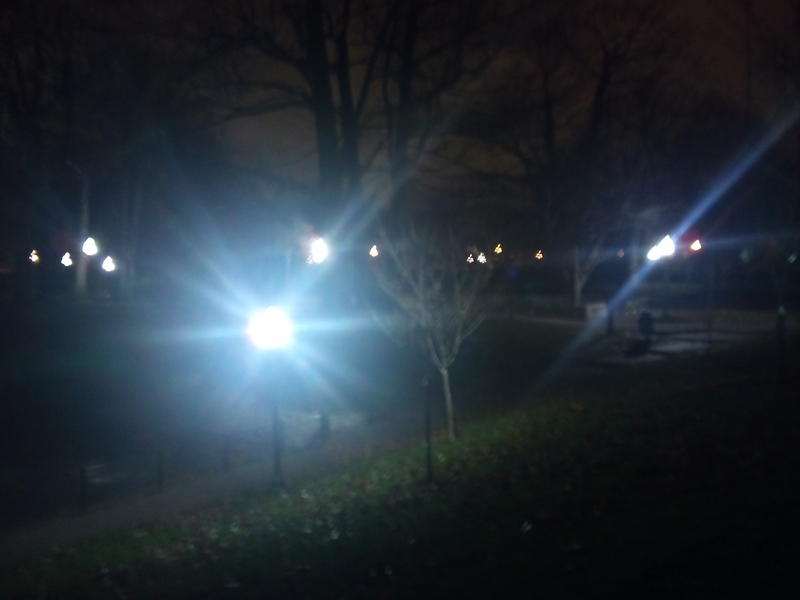 In Montreal, one of my favorite spots is Westmount Park. 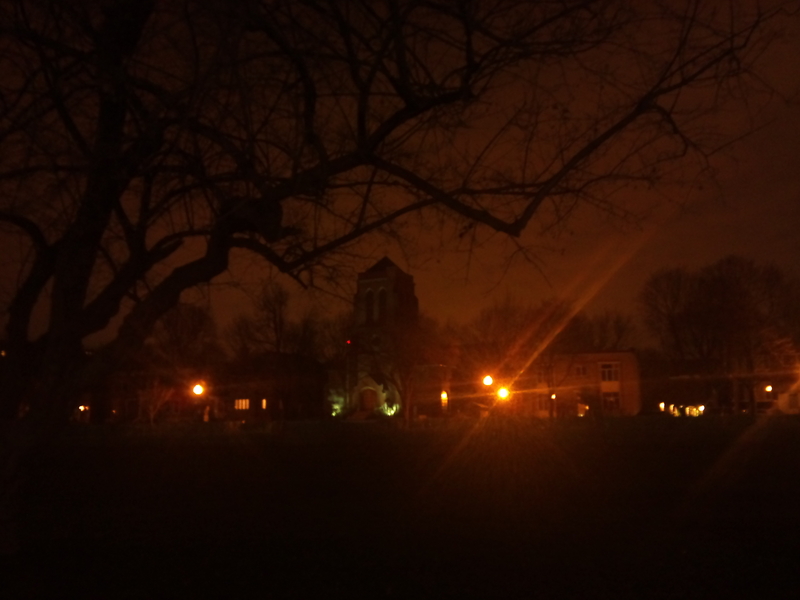 Already a nice place, midnight turns it into a new dimension, with its winding brick walkways, black iron, and empty playground–it’s all autumnal shades. “Creak-clink” says a chain swing in the wind. 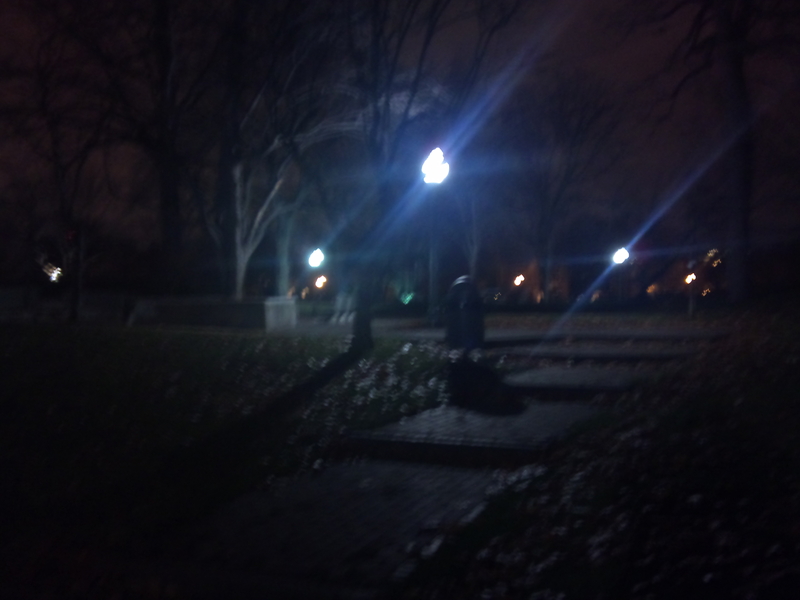 Places like that become yours after the witching hour. 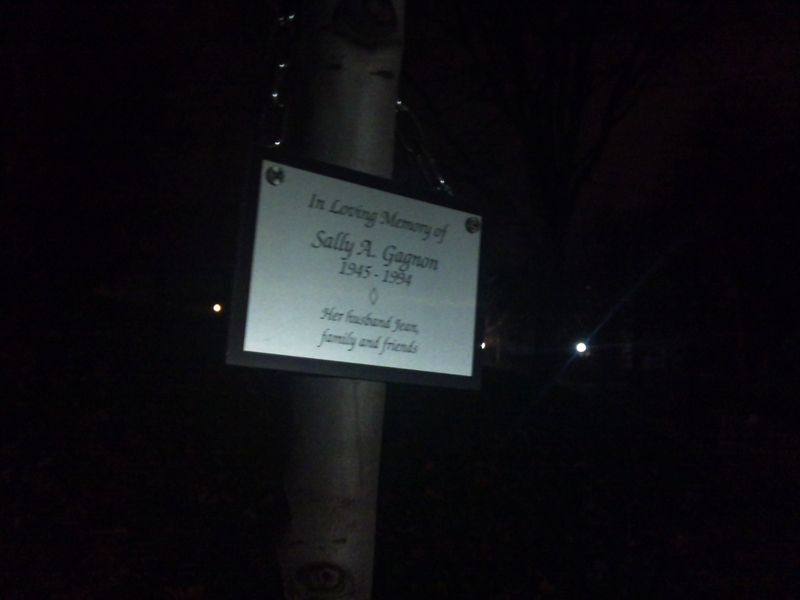 I took a closer look, and some of the trees had dedications on them, to people who had passed. Suddenly the place took on graveyard connotations. 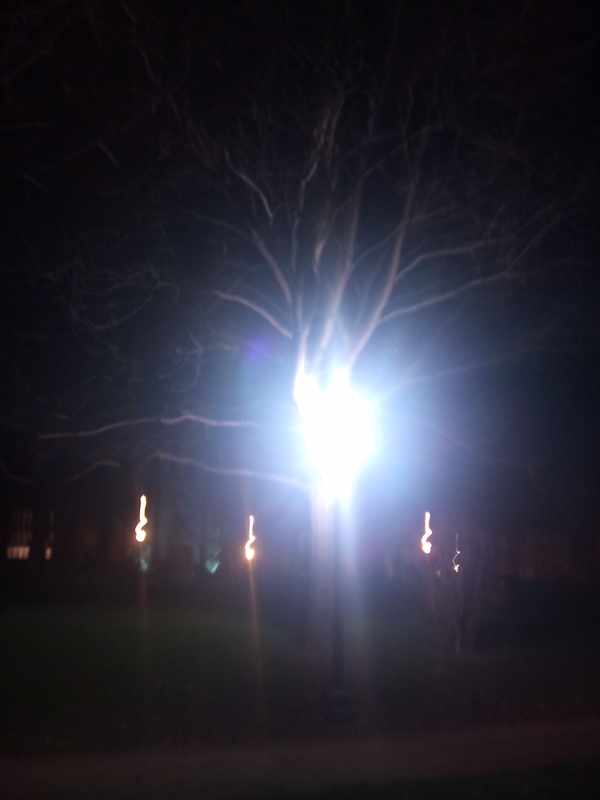 Sepulchral trees. Not just a favorite haunt, but a haunt. Tombstones that shed leaves. 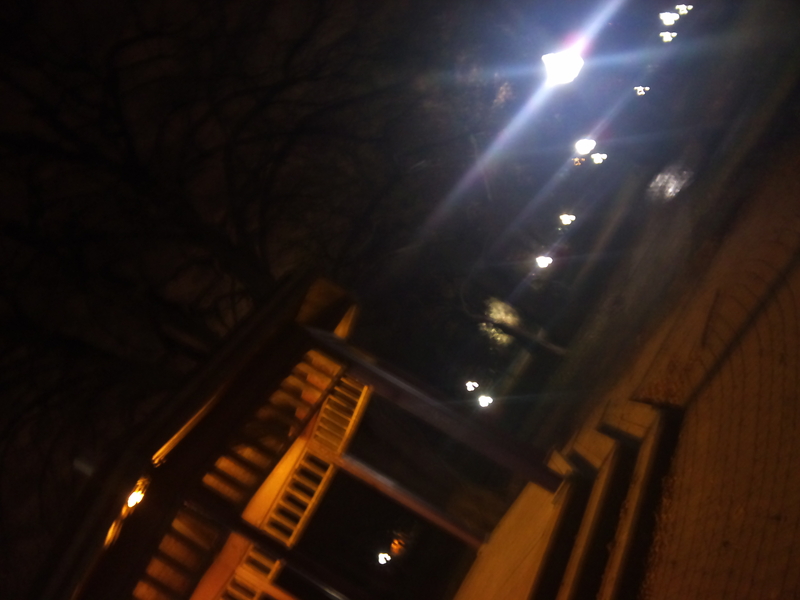 Just me, the empty swings, and arboreal spirits. Do loved ones visit the trees? Do they visit in the day, or creep about at night like me? Do other people read each and every plague? What was Irene Kon’s least favorite color? Was Sally Gagnon looking forward to the change of the millennium? 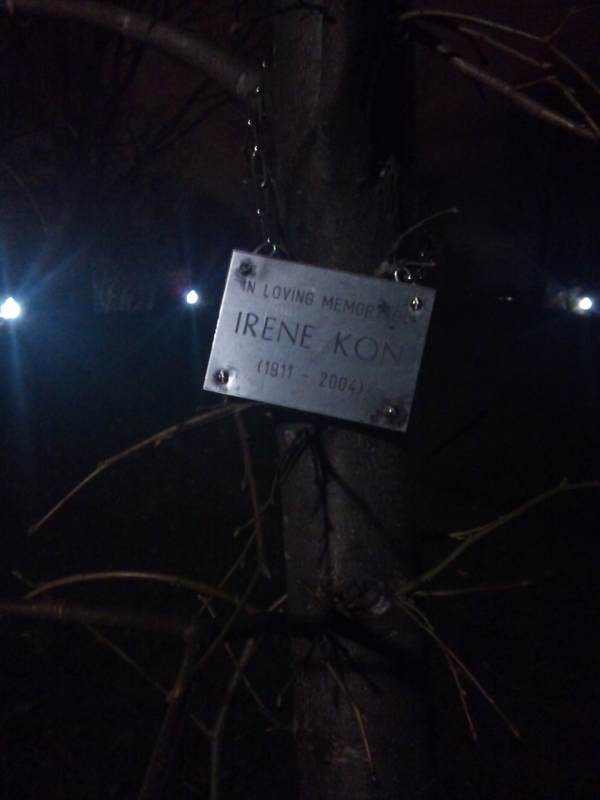 What kind of tree would I want to have my name on? How does that line go? By myself but not alone. Nights keep coming, and I’ll keep walking. I’ll visit Irene, Sally, and the rest. Someone told me it’d be healthier to get up in the morning and do my walks then. But I like the skewed view of midnight. I don’t think that’s a bad vice, as far as vices go. Oh…and if you’re going to be up late, you should be listening to The Tailor.